garage sale I couldn't pass it up. Not so pretty, but it has potential and it's solid. on and I couldn't be happier with how it turned out. 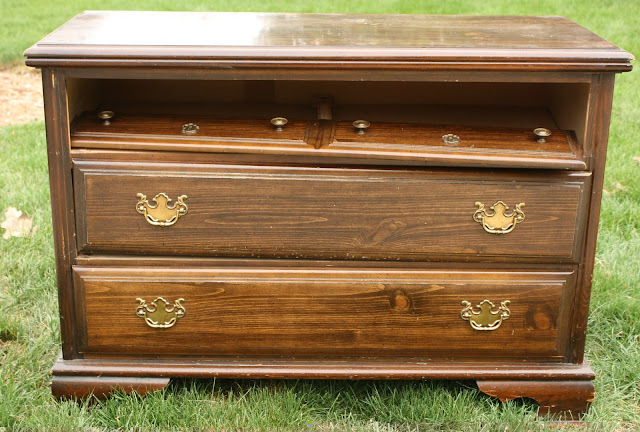 Dark wax on your furniture then use the Clear wax to buff it out and lighten it up. I busted out the top two drawers, but kept the bottoms of the drawers. with new hardware from Target. 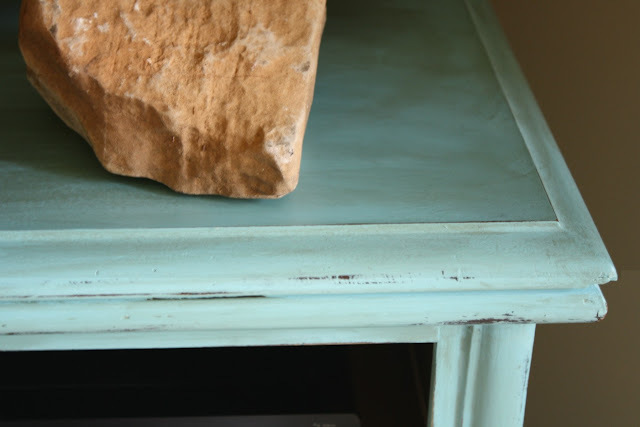 I realize Annie Sloan paint can be expensive, but please keep in mind the paint goes a long way. it looks awesome, andrea! 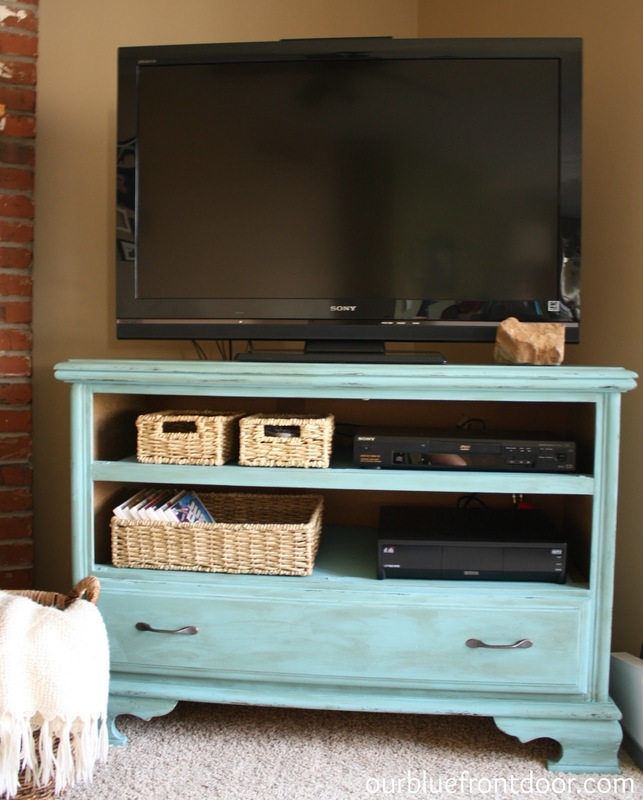 it makes the perfect tv stand and i LOVE the new color! Andrea you did a fabulous job on this piece! LOVE the color! It's beautiful!!! I love the color on it and the way you added the wax, thanks for the tip on using the light wax first! You did a wonderful job and I love ASCP too! Hi :) This is beautiful! 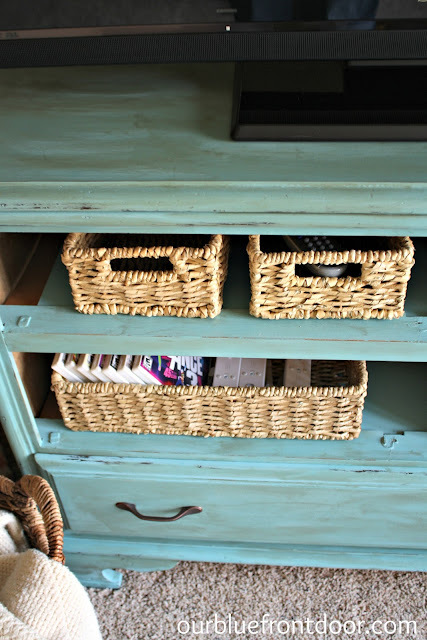 Is the top of the dresser wood laminate?...And if so, did the chalk paint stay on it or did you have to sand that part first since it was shiny? Just wondering since I have a similar dresser I want to redo! :) I tried just painting straight on the laminate once (tho not chalk paint) and even after polyurethaning, it was easy to scratch the paint right off. You did a beautiful job. 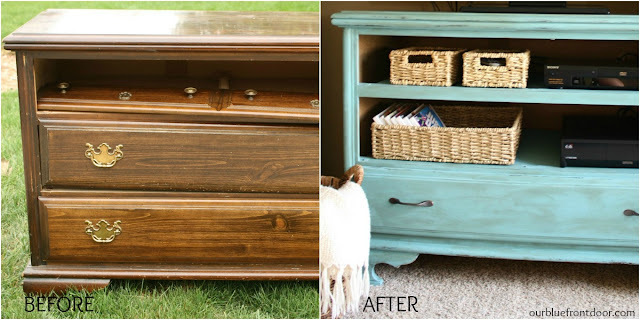 I still have not tried chalk paint.But with makeovers like this I am so going to. Hi Andrea! 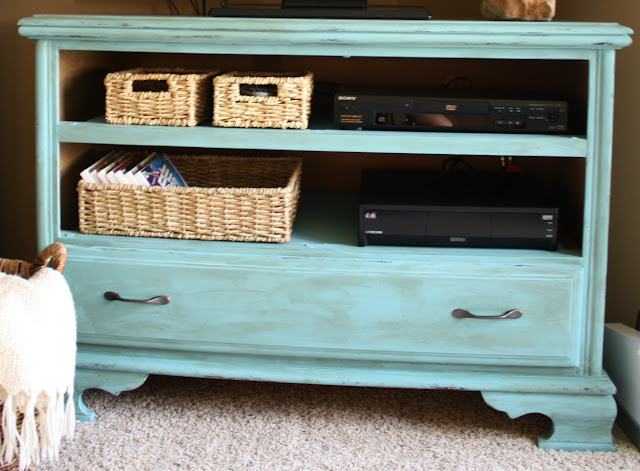 I love your dresser turned TV stand. The color is great! 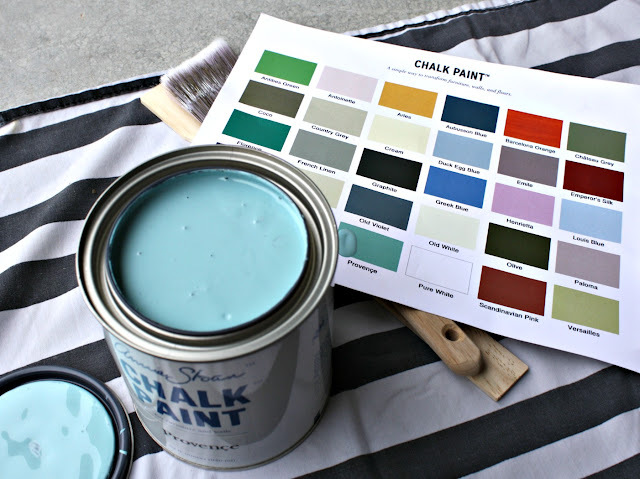 Thanks for all the tips on using chalk paint. I've never used it before but might have to try it now. Hope you had a nice Thanksgiving. Love the colour and that is a great makeover! I love rehabbing furniture because it would be difficult to find a solid piece like that in a store for $86 and such a great colour too. I love this idea! So much more affordable that one in the store, and more personalised too. We are hoping to move into our new house in January 2015 so that gives me plenty of time to do this makeover! Thanks for sharing. My mother was insisting me to repair the old TV cabinet and get it painted as well, but I decided to Jual cantilever TV stand because it helped saving my money and time.